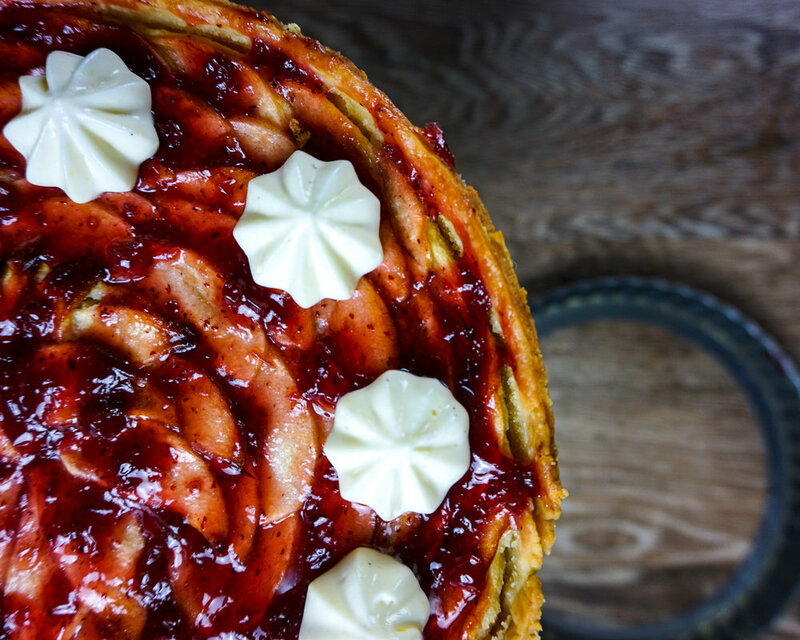 Apple-Frangipane-Lingonberry Tart picture for no particular reason, other than I love this shot. Fairly eventful week here, at work, at home, and around the shop. Yesterday we did our first in store sampling of the cocktail sauce at The Store in Holladay, UT, and sold 21 bottles, which made me happy. We only had one crotchety person grumble that they liked theirs better as they meandered off, but that was tempered about a half hour later, when an older gentleman said it reminded him of a sauce that his mother used to make, but that he hasn’t had in years. Last night at 350 Main we hosted a child from Make-A-Wish who’s wish was to host his own cooking show. We set up a small ‘studio’ in front of the hot line with an audience comprised of his family and friends and some guests of the restaurant who came back to see the little star cook. We made fresh egg pasta angel hair, with butter, and freshly grated nutmeg and Parmagiano Reggiano. He did a great job and even served the audience. You would never had guessed that in the early planning stages we were warned that he was very shy. He was not shy at all once the camera was rolling. I will post some pictures once Make-A-Wish sends them to us. Earlier in the week, we took our daughter to a special meeting with Santa Claus with the staff of Summit County Early Intervention. There is nothing especially wrong with her, she is just a preemie and is in the process of playing catch up. She is doing great, and for her adjusted age is 100th percentile for height, which does not settle the question of weather she received her height genes from her mom, diminutive, or me, tall, but put it does definitely look more in favor of me. She is also hitting all of her intellectual development on time, adjusted, as well, which is best case scenario. I think that does it for now. 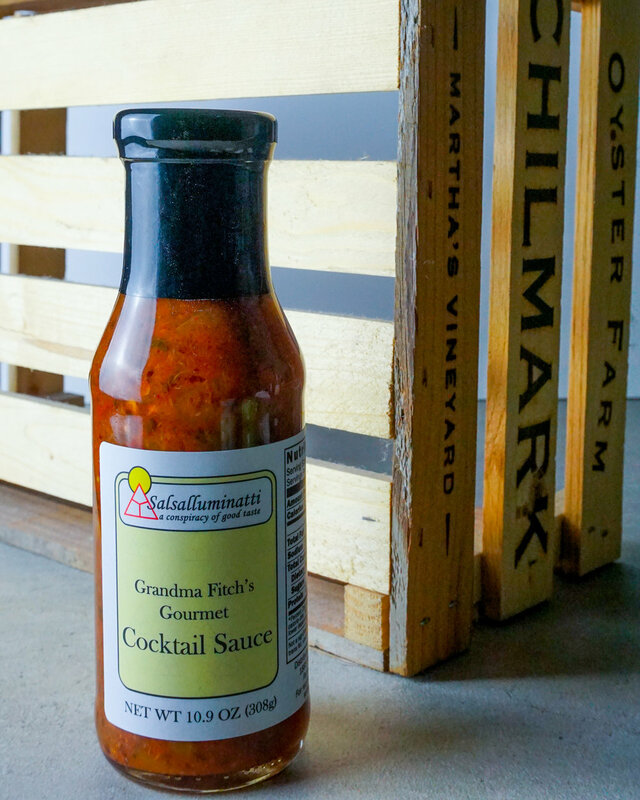 Don’t forget to swing by Instagram and Facebook and like/follow us for your chance to be entered to win a t-shirt and bottle of cocktail sauce. Open to US residents only. Three winners each will be chosen at random from Facebook and Instagram.